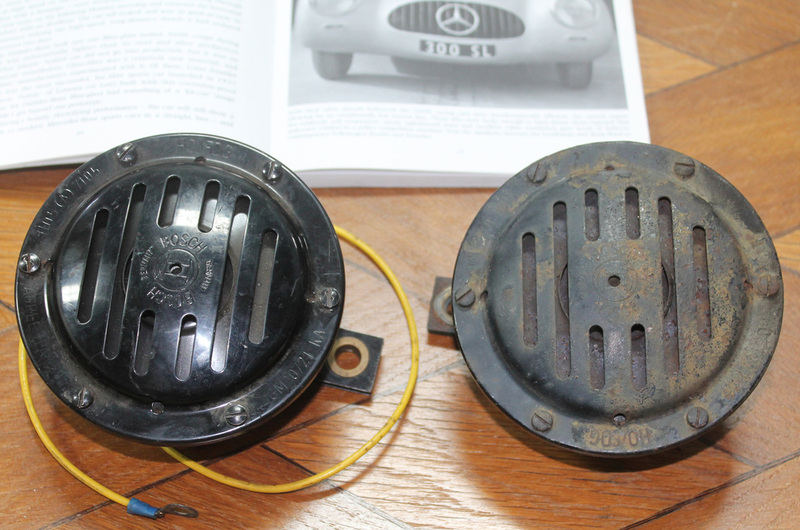 It's not easy finding all the real components for a car that is more than 60 years old. 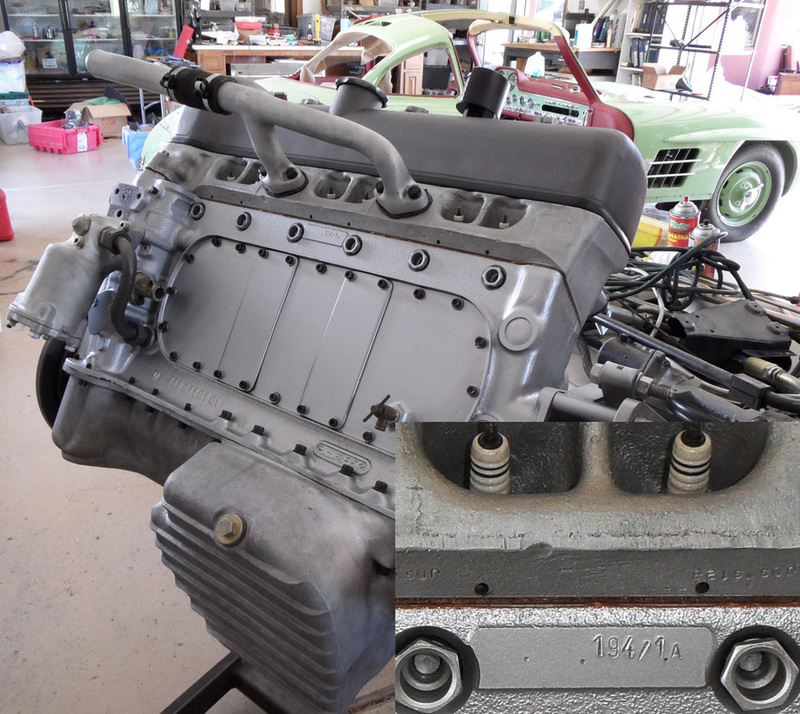 Mark Passarelli has been collecting parts for the W194 for nearly three decades, and his search has never stopped. In June of 2012 he finally found the correct horns for this remarkable automobile, allowing for one more step closer to the authenticity of the reconstruction of car Number One. Authenticity. That is what makes our w194 Project so special. Mark Passarelli, artist, engineer and visionary, is creating a true classic. This is not a new car, this will be a 1952 Mercedes Benz automobile, identical in every way to the hand-crafted original built by Mercedes Benz racing engineers in Germany more than a half-century ago. Each of the many thousands of parts that will go into the w194 are exact. Mark has spent decades sourcing and collecting the components, including some from original W194 cars, that will make this reconstruction identical to the original number 1 vehicle. The photo above shows Mark and one of his team of experts creating the painstakingly measured and calibrated body form that will be used to reconstruct the aluminum body that was integral to the racing success of the w194. Creating hand-formed components, including the precisely formed body, takes incredible skill and patience. Above, Mark uses an English Wheel to re-create the W194 in the same manner as the engineer/artists at Mercedes Benz did in 1951. The process is almost unbelievably time-consuming. Fortunately, other automotive artisans, some trained by Mark, will work on various components, under his supervision and to his exacting standards. The powerplant of the original w194 number one car was created from a specially modified coupe/cabriolet motor from the w188 1952 300S . The Passarelli Restorations w194 has one of these exceptionally rare modified M188 motors. This is the actual motor as modified by Mercedes Benz racing engineers in 1952. It has been completely rebuilt by Mark Passarelli personally and is stamped 194/1A. This commitment to authenticity means that the fortunate owner of this automobile will be driving a true classic, exactly as it was created in 1952. In the background is an extremely rare Gullwing rally car, nearing the completion of a 24 month restoration.